The saying may say “don’t judge a book by its cover.” When it comes to magazines, I think we all agree that you can judge a magazine by its covermount gift. 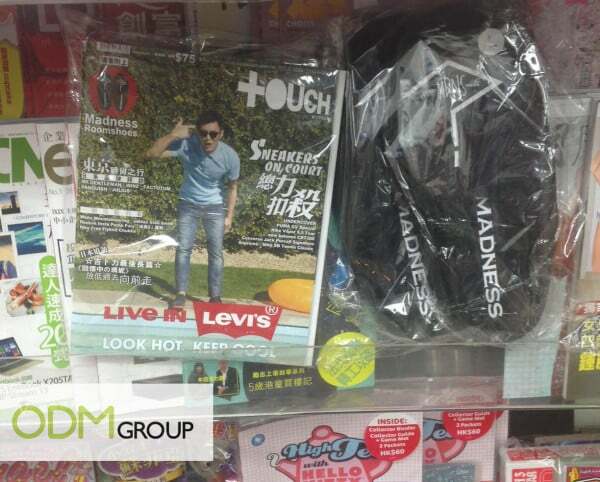 Magazine racks, the world over, are full with gifts with purchase and these are proven to be a major factor in marketing and sales. What did we like about the covermount gift campaign? First of all, we loved the product. It’s simple, unisex, useful, comfortable, visible and relatively cheap to produce. 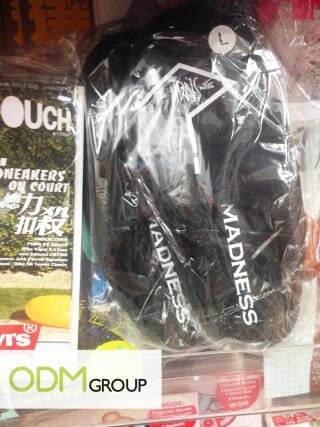 The MADNESS “?” branding is very cool too! In a world where most people read the news online, on their smartphone, offering a gift is a good way to push people to buy the printed version of your magazine. Covermount gifts have always been an efficient way to boost a newspaper/magazine sales but they will probably become unavoidable in the near future. If you are interested in covermount gifts, here is a list of the 3 things you should always keep in mind when you are planning your promotion. Your budget: remember that you can slightly increase the retail price of your magazine when you attach a gift to it. That said, it’s important to know how much your clients are willing to pay and what is the perceived value of your gift. The format/size: the bigger, the more visible, but also the most inconvenient for the retail stores (and in terms of packaging). 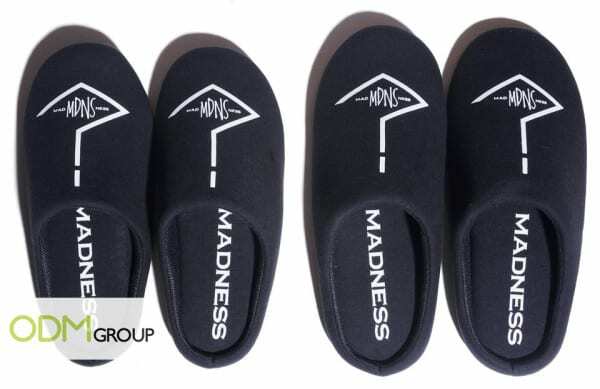 If your magazine is a small A-5 format, a leather cardholder or a compact mirror would be a better option than these roomshoes for example. Your target: it almost goes without saying but you should know your target in order to know what they would like to get from you (and how much extra they’d be willing to pay to get it). Readers information and demographic are critical to maximize your covermount gift campaign. If you need any help, feel free to contact us and we will discuss all these points with you in order to find the perfect gift for your audience/budget.